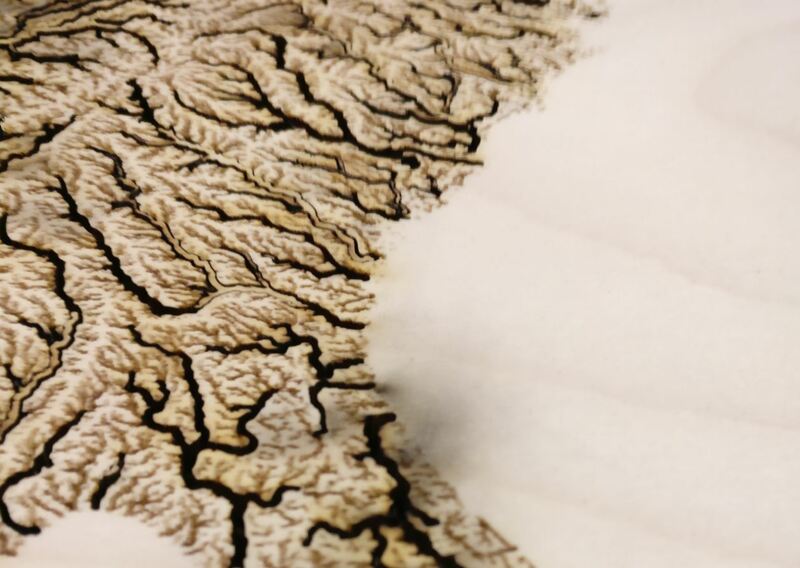 A recent convert to the ways of the laser cutter, redditor [i-made-a-thing] was in want of a project and — stumbling on some waterways maps on Etsy — launched into fabricating an illuminated map of all the waterways in the United States. The map itself was laser-cut out of 1/4 inch plywood at his local makerspace. Thing is, smaller rivers and tributaries were too narrow at the scale [i-made-a-thing] wanted, so he ended up spending several hours in Photoshop preparing the image so larger rivers would be laser-cut — and not break off– while the rest would be etched onto the surface. After testing the process by making a few coasters, he was ready to get started on the real deal. There is something about a wooden boat that should be facsinating to most makers, the craftsmanship and level of work that goes into creating a sea-, lake-, or river-worthy craft with smooth lines, from little more than thin pieces of wood. Master boatbuilders have apprenticeships that last years, and spend entire careers refining their art. [Adam], also known as [A Guy Doing Stuff], is not a master boatbuilder. In his words, he’s just a guy with some basic woodworking knowledge, who builds canoes from cedar strips. But you wouldn’t know that he has no training as a boatbuilder from looking at his work, which you can do because he’s posted some beauthiful videos. We see the creation of a skeleton to produce the basic shape of the boat, followed by the creation of prow and stern. Then there is a painstaking application of carefully shaped cedar strips to make the hull, and a single layer of glass fibre on either side. With the gel coat applied though you wouldn’t know the fibre was there. Finally we have the creation of the seats and interior fittings, followed by the canoe being paddled across a lake. Few of us may ever make a canoe. But if we did, we’d want it to be one like this one. Now that Spring is upon us, it’s time to get out the kayaks, canoes and row boats. As fun as paddling around a lake may be, after a long winter of sitting inside our arms are not up to that task. Well, [comsa42] has a solution to that problem. He’s made a quick-attaching trolling motor setup for his canoe and documented the process along the way. [comsa42] started with a run of the mill canoe. Although he wanted a trolling motor option, he didn’t want to permanently modify the canoe. He started by making a wooden beam that spans the width of the canoe and overhangs on one side. The beam was notched out to securely fit over the lip of the canoe and a couple bolts and washers were used to clamp the beam to the canoe. This beam is just a few inches behind the rear seat so that the motor is at a comfortable position for the person steering. The electric trolling motor is attached to this beam. To power the trolling motor, [comsa42] wired up two 12v deep cycle marine batteries in parallel. He installed them in a recycled wooden case to protect the batteries from the elements or occasional splash. There’s the quiet serenity of paddling through the backwoods in a canoe, and then there’s this. It’s a lawnmower motor powered canoe that comes complete with steering wheel, throttle, and a stereo system. To keep the craft balanced the driver rides in the front seat while the motor is hanging off the stern of the boat. The biggest trick is not swamping the thing while getting the motor running, but future plans do include adding an electric starter. There is a kill switch for safety and it appears that top speed will not cause any stability issues. It’s hard to tell for sure from the video after the break, but it sure does seem to be loud!